Set Includes: 3pc. Skew Chisel: 5/64", 3/16", 1/4" - 2pc. 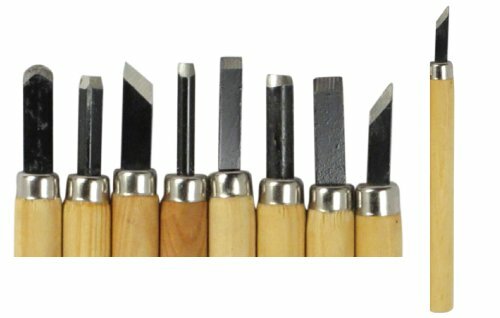 Straight Chisel: 1/4", 13/32" - 1pc. Round Chisel: 13/32" - 1pc. 90° V-Parting Chisel: 1/4" - 1pc. Gouge Chisel: 3/16"